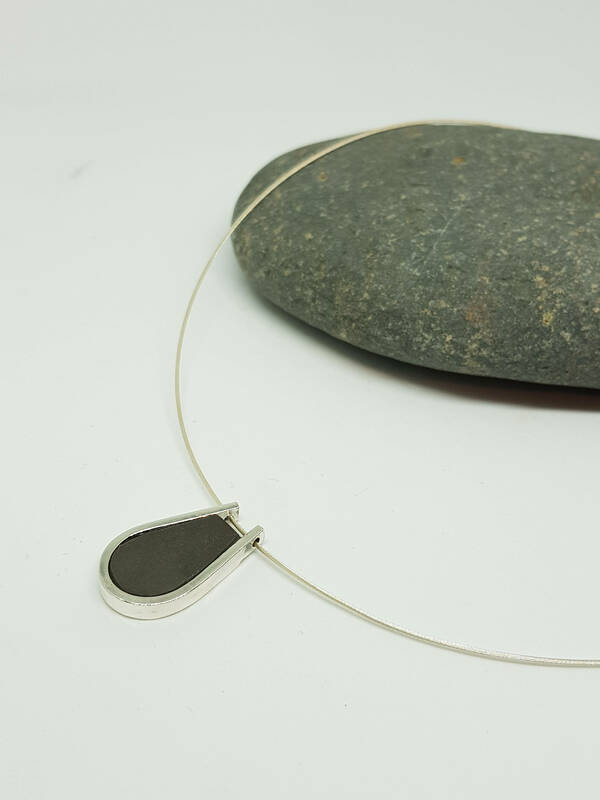 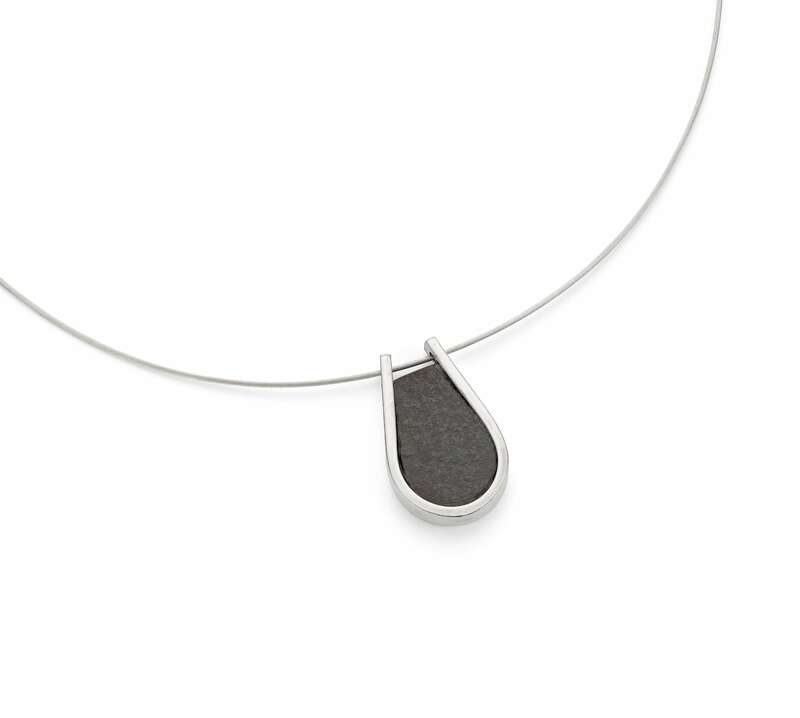 A minimalist, horseshoe-shaped pendant of polished slate set in a substantial silver wire mount. 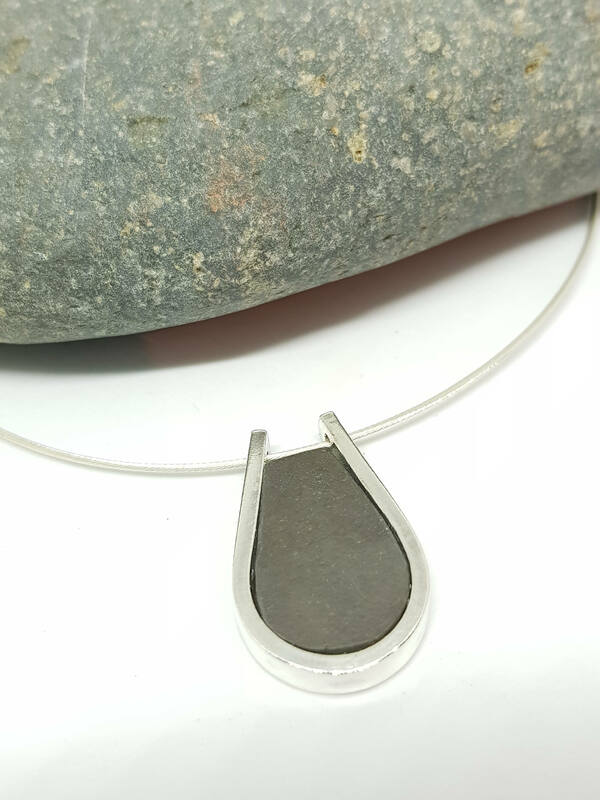 The bezel mount holding the slate is drilled and the silver cable wire passes through this. 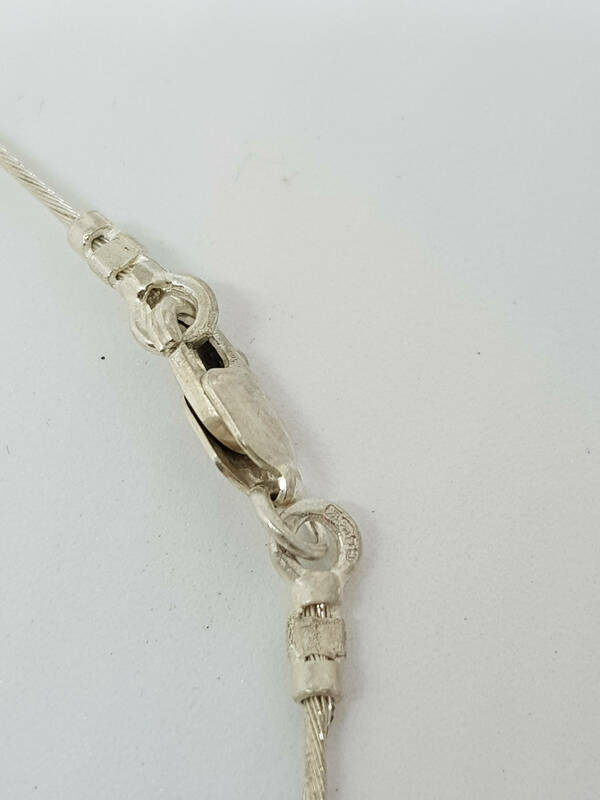 Made using 4.5 mm wide rectangular wire. 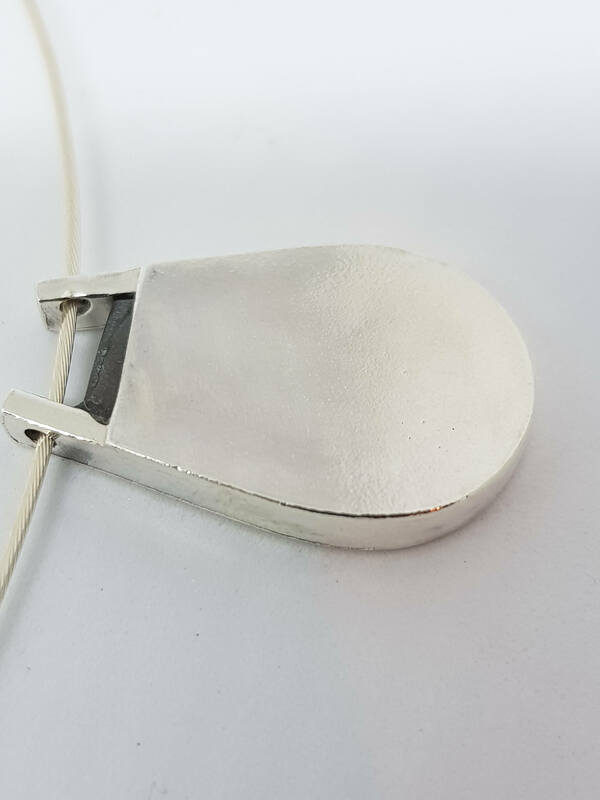 The silver is available in satin or polished finish.